No Mardi Gras party will be complete without these Mardi Gras Feather Masks. 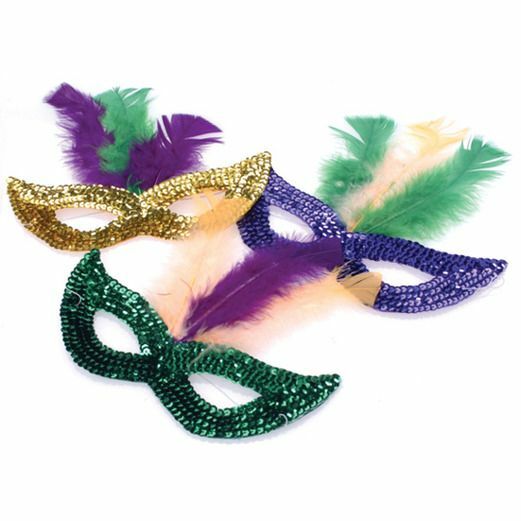 These fun feathered masks are covered in sparkly sequins and come in the traditional Madri Gras colors - gold, green, and purple. These masks come by the dozen so they are also great to use as decorations.